We value and respect the population we serve by asking for their input and responding with empathy to their concerns. We are committed to using clear, consistent and direct communication, involving those who are affected by decisions and communicating before implementation so there are no surprises. We are loyal to our fellow employees by being kind and sharing positive observations. We value results and creativity through dedicated employees who strive to meet the needs and expectations of the facility. We accept personal and professional responsibility for achieving the goals established for our organization and agree to treat each person with respect in a joint effort to build a cohesive team. We foster an environment where free exchange of ideas is welcome and respect towards one another is expected. We will learn from the unique talents of all employees and honor the variety of backgrounds that each individual offers. We will exhibit the highest level of professionalism so our team can consistently produce the results that exceed expectations.  We will protect our employee’s trust by ensuring that our actions are consistent with our mission, vision and values. We will promote honesty and behavior that is ethical and legal, while delivering the highest level of customer service. We will continue to venture into new areas of opportunity and strive towards innovative ways to have fun in the workplace. We will seek to find humor and laugh daily, but never at another’s expense. We value one another by making ourselves visible and approachable and responding in a caring, helpful and respectful manner. We will follow through on all commitments, share ideas and concerns, and support decisions once made. We strive for a supportive atmosphere that promotes harmony, open communication and team work. Cadia Healthcare has provided rehabilitation, skilled nursing and long-term care services to the residents of Delaware, Maryland and neighboring Pennsylvania communities for over 20 years. Cadia Healthcare is one of Delmarva’s largest rehabilitation and skilled nursing provider, operating 10 facilities with 1200+ in-patient beds. In addition, we offer on-site dialysis and out-patient therapy services at select locations. For more information, please click here. 1. How long will I be here? 2. I’m coming for rehab after surgery. How often will I receive therapy? Subacute care, or skilled rehabilitation provides up to three hours a day, 5-6 days per week of therapy services, depending on your tolerance. 3. What Insurances does Cadia accept? Delaware facilities accept MEDICARE, MEDICAID, BLUE CROSS/HIGHMARK, AETNA, HEALTH OPTIONS, TRICARE FOR LIFE, and CIGNA. Cadia's Maryland facilities accept MEDICARE, MD and DC MEDICAID, Private Pay and various Commercial Insurances. We will also negotiate one time contracts with insurance carriers that are not listed on a case by case basis. 4. What does Medicare cover? Medicare covers Days 1-20 at 100% while Days 21-100 require you to co-pay $157.50 in 2015. While a Medicare benefit pays up to 100 days, a skilled need must be present. For example, if your skilled need is rehabilitation, improvement towards your goals must be evident. Once your goals have been met, the Medicare benefit period ends even if the full 100 days has not been used. 5. Is there a doctor available every day and how often will they assess patients? There is either a Physician or Nurse Practitioner in Cadia facilities daily. Short stay patients are seen within the first 48-72 hours post-admission, then as frequently as needed thereafter. Long term care residents are assessed every 30 days, more often if needed. Additionally, Cadia contracts with various specialists to provide onsite care as needed, including Board Certified Medical Directors, Pulmonologists, Vascular Surgeons, Wound Care Physicians, Pain Management Physicians, Nephrologists, Physiatrists, Podiatrists, Nurse Practitioners, Case Managers, Registered Nurses, Hospice Nurses, Dieticians, Respiratory Therapists, Rehabilitation Therapists, Social Workers, Certified Activities Consultants and Geriatric Nurse Assistants. 6. What are the visiting hours? 7. Is my dog allowed to visit? 8. Do you take Long Term Care patients and if so, do you have availability? 9. What do we bring with us upon admission? Feel free to bring any items from home that will make your experience here more comfortable, such as your favorite blanket or pillow. If you will be receiving rehab therapy, loose fitting clothing and sneakers are recommended. We will provide toiletries, but if you have favorite brands, please bring those with you. 10. What is the difference between skilled nursing care and assisted living?